Since you already use clean power, you’re eligible to become a Member Business! Complete the CleanPowerPerks Business Member signup form shown below. Then we’ll add you to our website and set up your perk of choice in the mobile app. Once we set up all the pieces, we’ll get your quick “okay” on how everything looks. As soon as you confirm, we’ll send you your Clean Kit with signage for your store. Like magic, you’re ready for more new customers! STEP 2: BECOME A CPP MEMBER BUSINESS! Already signed up for clean power? Step 1 is done! Step 2 is to complete the form below. You’ll need about 15 minutes, access to business logo files and information about the perk your business will offer to CleanPowerPerks Members in order to complete this form. DON'T HAVE TIME TO FILL THIS OUT NOW? No problem, we know how busy small business owners are! Fill in the info below and we’ll send you a reminder to get you all set up. Need some help? That’s why we’re here! Contact CleanPowerPerks Founder/CEO Tess O’Brien at 617-918-7656 or tess@cleanpowerperks.com. What is the name of your clean power provider? What we need to know: what type of clean power you've committed to, amount (size of solar project or % of electricity usage) and for how long (start/end date). We may ask you to provide documentation of your clean power purchase from time-to-time. Have multiple store locations with different hours? Please list each separately. Use sparingly for best results. Common limits: "Limit one coupon per customer" or "Not valid with other offers or discounts"
For particularly involved perk offerings like tickets or services. Example "Call ahead to schedule your appointment and mention CleanPowerPerks"
Store Signage + Materials Select the number of each piece you would like included in your Clean Kit of materials/signage for your store. Please only select what you will use now (we have a limited supply), we can always send you more materials in the future! What Happens Next Once you submit this form, you'll receive an email confirmation outlining the next steps to complete your signup. If you don't receive that email or need additional information, please don't hesitate to email us at memberbusiness@cleanpowerperks.com. By submitting this information you agree to participate in CleanPowerPerks as a Member Business. You confirm that all information, included that regarding your clean power usage, is accurate to the best of your knowledge. 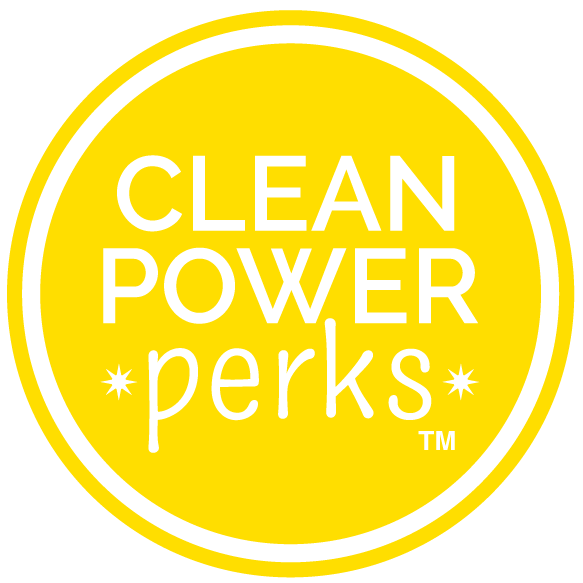 You give CleanPowerPerks permission to use the information included in this form or any other information you provide in marketing or communications materials as CleanPowerPerks sees fit. You agree to honor perk offerings for CleanPowerPerks Members through the Chinook Book mobile app for one year from the launch of the CleanPowerPerks program in your area. Using clean power is what makes your business eligible to participate in CleanPowerPerks. You've got to walk the walk! If you cancel your clean power commitment, you are no longer eligible to participate in CleanPowerPerks and must inform CleanPowerPerks of your cancellation and return the Clean Kit provided upon enrollment. DON'T YET USE CLEAN POWER? No problem, we can set you up quick! You’ll need to sign up for clean power first to be eligible for CPP Business Membership. STEP 1: Choose your clean power option here!